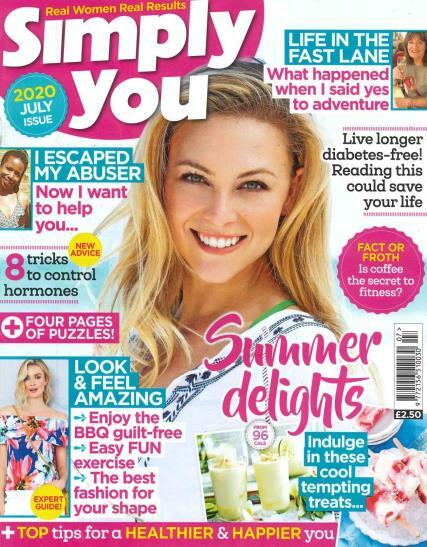 Simply You is a monthly magazine targeted at women aged 40+, featuring real-life stories, high-street buys advice on topics such as health, and savings. Buy a single copy or subscription to Simply You magazine. Simply You is Take a Break and That’s Life’s sister publication, encouraging readers to explore how to be the best version of themselves. Each issue features real-life stories, expert fashion and beauty tips to help motivate confidence, practical diet and food ideas, brain-training puzzles and more! Simply You hopes to inspire women to fulfil their goals with informative and entertaining ideas.